Age 87. Born in Chicago. Beloved wife of the late Michael for over 60 years. Loving mother of the late Mick (Sue), Peggy (John) Barrett, John (Nancy), David (Mary Jane), Jim (Peggy), Rose (John) Sullivan, Pat (Mary), Sally (Marty) Durkin; cherished grandmother of Irene (Tom) Costello, Julie (Brian) O’Kane, John Sullivan, John (Jenna) & Mick (Elisabeth) Barrett, Kelly (Jim) Houston, Peggy (John) Kerrigan, Megan (Steve) Mahalik, Jacky (Ken) Meracle, John (Volha), David (Kristen), Kyle, Michael Henry, Michael Robert, Maggie, Katie, Colleen, Bryan & Danny Liston, Susan, James & Thomas Durkin; proud great-grandmother of Michael & John Costello, Billy, Grace & Brian O’Kane, Jack Barrett, Nora & Emma Houston, Rose Mary & Emily Kerrigan, Anderson & Benjamin Barrett, Eileen Mahalik & Dax Liston; caring daughter of the late John & Margaret Kelly, dear sister of the late Ann Kennedy and the late Peggy (Sean) Ralph; fond sister in law, aunt & cousin to many, a true friend, great cook, joke teller, avid reader, patient listener & loving caregiver to many during her life. Dedicated volunteer at numerous charity benefits & member of the Gaelic Park Ladies Auxiliary & the County Down Association. The Liston family thanks all of Rose’s doctors, nurses, caregivers and Palos Hospital Hospice for the exceptional care they provided. Visitation Friday 3:00 p.m. to 9:00 p.m. Funeral Saturday, 9:15 a.m. from Curley Funeral Home, 6116 W. 111th Street to Our Lady of the Ridge Church, 10820 S. Oxford Ave. Chicago Ridge; Mass 10:00 a.m. Interment Holy Sepulchre Cemetery. In lieu of flowers, please send donations to The Twin Hearts Autism Foundation www.twinhearts.org PO Box 1923 Frankfort, IL 60423. For funeral info 708-422-2700. To send flowers or a remembrance gift to the family of Rosemary Liston, please visit our Tribute Store. 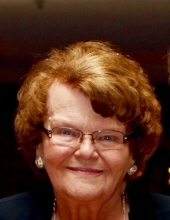 "Email Address" would like to share the life celebration of Rosemary Liston. Click on the "link" to go to share a favorite memory or leave a condolence message for the family.